Three totes: One to rinse shrimp, one to chill-kill shrimp and one to store/transport shrimp. Long-handled nets (minimum of 6). 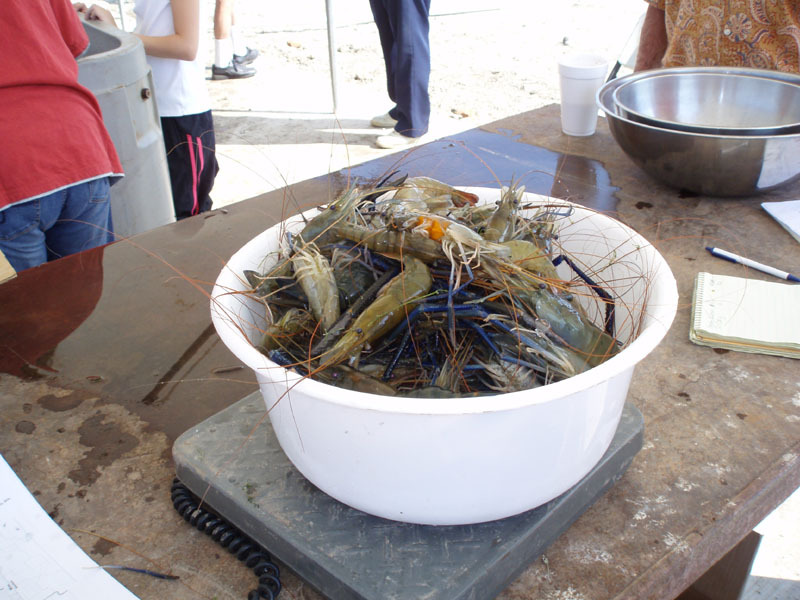 Orange shrimp harvest baskets (minimum of 6), 5-gallon buckets. Ice, portable ice storage freezer, 100 quart capacity ice coolers for drinking water. Sorting table for shrimp, buckets for miscellaneous aquatic garbage. Several young workers, properly attired - rubber boots, gloves, etc. 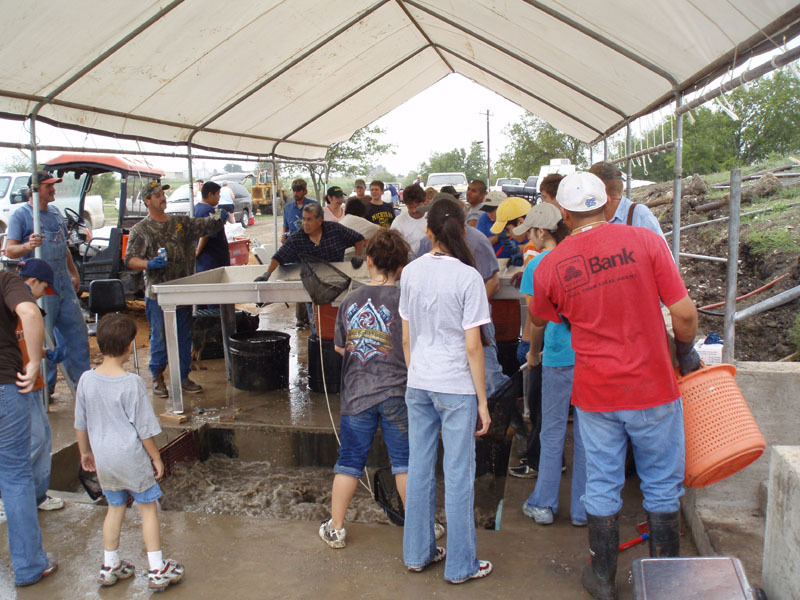 Garden hose and supply of fresh water to fill vats, rinse shrimp, washing people, etc. Area to weigh shrimp, awning and table to shelter area. Scale and containers for weighing shrimp. Plastic bags in which to place shrimp; tee shirt bags for customer convenience. Notebook, clipboards, pens and a designated person to record harvest data. Cash box with enough starting change for transactions. Pre-printed index/address cards for customers who wish to receive future information. Rubber gloves, aprons, paper towels and fresh water for shrimp packers. Small, 6" x 10" nets for shrimp packers. Road signs for directions, marked parking area and trash barrels to assist customers. Safety first - drinking water, chairs, shade, first aid kit, etc. Sandwiches or other food and snacks for workers.